--- Please Select --- Small Sold Out. Medium Sold Out. Large Sold Out. X-Large Sold Out. 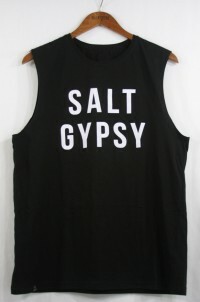 • A wardrobe must-have, because you are a Salt Gypsy, afterall. Offered here in whitewash - a light blue tie dye - with black lettering. 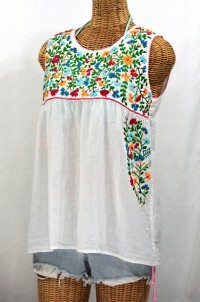 • Super soft 100% cotton, sleeveless. Features a long torso for coverage and a loose, comfortable fit. 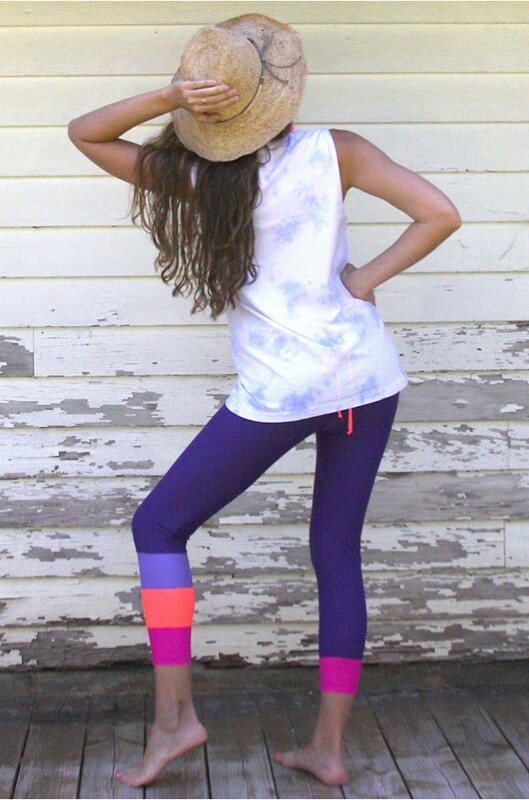 • Excellent UV protection whether you're staying high and dry on your SUP, cruising the local Bazaar, or just doing your celeb thing poolside. 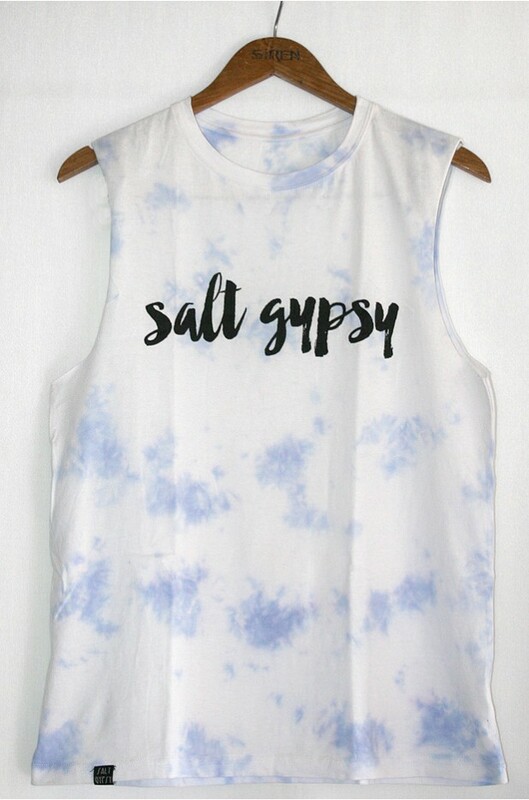 • Caringly hand sewn and tie-dyed by SALT GYPSY's boutique production crew in Bali. • New SALT GYPSY script logo front and raw-edge arm holes. • The SALT GYPSY bottom hem tag adds the perfect finishing touch. 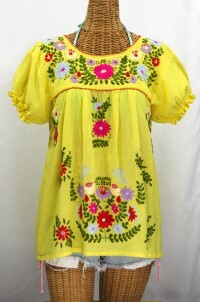 We suggest the following: Small: 4-6; Medium: 8-10; Large: 10-12. The cut is a bit more generous than a standard unisex Tee for a relaxed, comfortable fit. 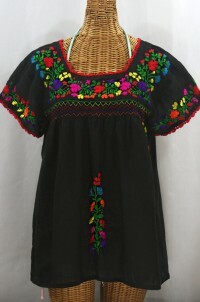 Also available Here in Black.